Exploring the CABSAT event for the first time this year will be new Malyasian telecom, Scopetel. The company believes CABSAT is a superb launching pad for the firm as well as a hot spot for promoting their VSAT products and services. New networking opportunities are believed to become evident throughout the show and Scopetel will be able to bridge their products and services to a wider assortment of customers and product suppliers. 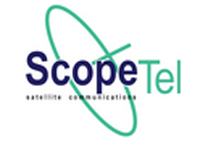 As this is ScopeTel's first International exhibition in MENA region, the company would appreciate being able to meet and explore all of the opportunities that will be present; however, their main criteria is to directly interface with the satellite delivery industries, with the people and companies who matter to the growth of the industry in MENA. ScopeTel, being one of the leading VSAT service providers for oilfield communication in South East Asia, looks forward to exploring the MENA footprint.